Prominent & Leading Importer from Kolkata, we offer philips system one heated humidifier and philips dream station heated humidifier. 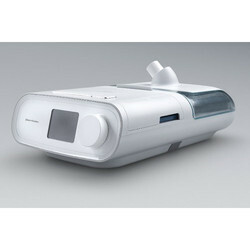 The System One Heated Humidifier is an accessory for the Philips Respironics REMstar and BiPAP therapy devices to provide moisture to the patient circuit. It is intended for use in spontaneously breathing patients weighing over 30 kg (66 lbs), in the home or hospital/institutional environment, who use mask-applied positive pressure ventilation therapy. Warnings: A warning indicates the possibility for injury to the user or the operator. Use the humidifier only for its intended use as described in this manual. Use only with Philips Respironics full-face masks, nasal masks and connectors. Periodically inspect the humidifier for signs of wear or damage. Never operate the humidifier if any parts are damaged, if it is not working properly, or if the humidifier has been dropped or mishandled. Do not use the humidifier if the water tank is leaking or damaged in any way. Have any damaged parts replaced before continuing use. Periodically inspect the humidifier power cord for signs of wear or damage. If it becomes worn or damaged, contact Philips Respironics or your home care provider for a replacement. The humidifier must always be positioned below the breathing circuit connection at the mask and the air outlet on the device. The humidifier must be level for proper operation. Allow the humidifier heater plate and water to cool down for approximately 15 minutes before removing the water tank. A burn may result from: touching the heater plate, coming in contact with the heated water, or touching the tank pan. This equipment is not suitable for use in the presence of a flammable anesthetic mixture with air or with oxygen or nitrous oxide. When installing the water tank, do not allow any water to spill into the humidifier or therapy device. If you notice any unexplained changes in the performance of this device, if it is making unusual or harsh sounds, if it has been dropped or mishandled, if water is spilled into the enclosure, or if the enclosure is broken, disconnect the power cord from the therapy device and discontinue use. Contact your home care provider. Before cleaning the humidifier, always remove from the therapy device. Empty and clean the water tank daily to prevent mold and bacteria growth. Wipe the seal completely. The Dream Station Heated Humidifier by Philips Respironics is the integrated humidifier designed to connect directly to the Dream Station Series Machines in order to provide optimum comfort by adding moisture to therapy air. This humidifier offers a standard fixed heating mode as well as an "Adaptive" mode which automatically adjusts heat and moisture levels. For increased warmth, add the OPTIONAL Heated Tube for Dream Station CPAP Machines.